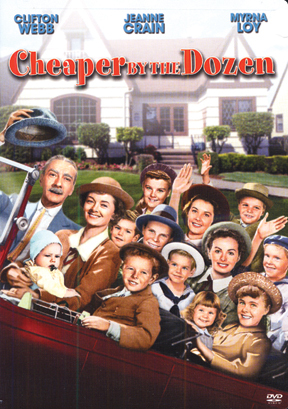 "Cheaper By the Dozen", based on the real-life story of the Gilbreth family, follows them from Providence, Rhode Island, to Montclair, New Jersey, and details the amusing anecdotes found in large families. Frank Gilbreth, Sr., was a pioneer in the field of motion study, and often used his family as guinea pigs (with amusing and sometimes embarrassing results). He resisted popular culture, railing against his daughters' desires for bobbed hair and cosmetics. 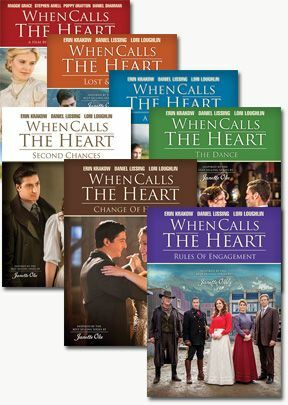 Includes seven DVDs from the series inspired by Janette Oke's bestselling book series about the Canadian West: When Calls the Heart, When Calls the Heart: Lost and Found, When Calls the Heart: A Telling Silence, When Calls the Heart: The Dance, When Calls the Heart: Second Chances and When Calls the Heart: Change of Heart. and When Calls the Heart: Rules of Engagement.